By Bryanna Royal | October 12, 2018 | This post may contain affiliate links, which means we may receive a small commission, at no cost to you, if you make a purchase through a link. Read our Disclosure. When we decided to hit the road full time with our family we had no idea we would start a virtual business to fund our travels. At the time my husband had a 9 to 5 job he could do remotely. We quickly learned we didn’t like the restraints of a 9 to 5 on the road. Instead we wanted the freedom to set our own schedule and to sleep in in the morning and go exploring on a Monday. Hence the idea of starting our own Virtual Business. We had no entrepreneur background yet we knew people were out there doing it so we just had to figure out how to do it. That was a little over a year and half ago. Our business has since grown, changed and evolved which is part of the process of living a life of freedom. Things can change and change is good. Starting an online business was by no means an easy process but, with persistence and a willingness to push out your comfort zone, it is totally possible. 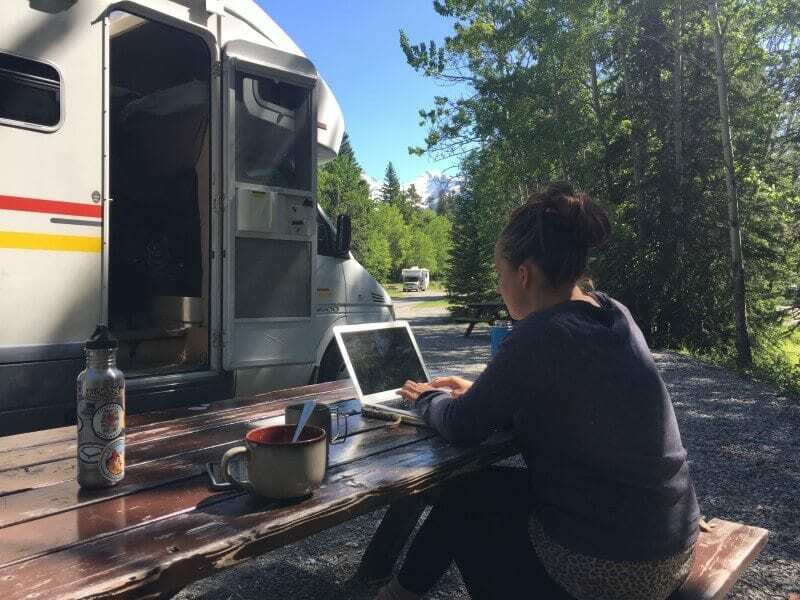 Below I share the steps we took to grow our virtual business from nothing to a business that can support our family of six as we travel full time around North America. There are many different online businesses you can start. From freelancing to tech writing to a travel blog (Caz and Craig obviously have this one down!) 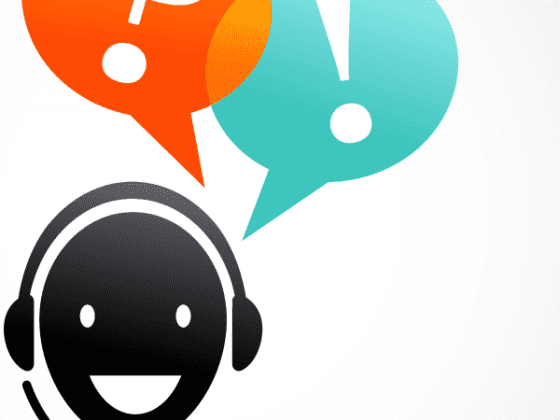 to virtual assistance to website design, graphic design, the list goes on and on. The key that we have learned when choosing a virtual business is to take into consideration your desired lifestyle. If you want to be able to go off the main road into locations without internet for weeks at a time, don’t set up a business that requires you to be on the internet every day. If you don’t like helping people and don’t really want to have to talk to people a lot then don’t start a service based business. These are important things to ask yourself when deciding what type of business you want to start. 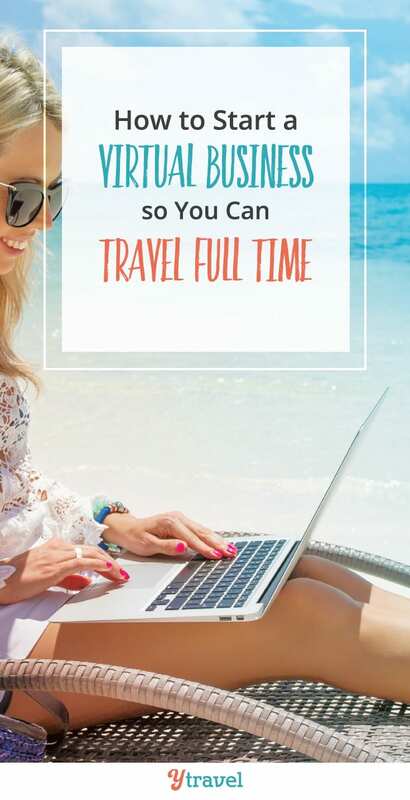 In my course: How To Start A Virtual Business So You Can Travel Full Time I have a questionnaire that walks you through how to choose the business that is right for you. It isn’t an easy think to figure out. However the other side of it is if you start to go down one path and you don’t like it you can always change it! That is exactly what I did when I started my virtual business. I started going down the virtual assistant route and then realized it wasn’t the right fit for me. I made a change to focus on specific areas so I wasn’t doing assistant work, but was instead doing focused work on social media and eMail marketing. Since then my business has continued to ebb and flow as I add in new solutions for clients and find other areas that I want to focus on. Areas I want to focus on – not areas someone is telling me to focus on. I really think that is important when starting a virtual business. You want to be sure it is a business that you love and you are choosing to do. Now, you’ve chosen the right business, it’s time to start your business. Or, maybe you haven’t quite decided on what you want to do yet. Either way you have got to get started. One of the biggest reasons people fail is they never take the next step. They get hung up on the perfect how and so won’t take the first step. If you are having a hard time choosing what business to start I recommend you find a client in the business you have an interest, or skill in, and give it a go. I get it it isn’t quite that easy but then again it kind of is. Do you have a friend or family member who may need help with what you are looking to do? Reach out to them and ask if you can help free of charge. Explain to them you are looking to start a virtual business and you want to see if it is a good fit. For that reason you will do the work for free for them for the first month. This is a great way to get your business going and to validate whether it is the right business for you. Once you have done that you need to setup a few basic things. Yes, you could crazy and spend thousands of dollars on a website, logo, business cards, etc. I don’t recommend that. I recommend that you gradually let things grow. All you really need when you start is a basic PDF document that explains your services and prices that you can share with potential clients. Then, as your business starts to grow ,you can invest in a website, logo, etc. Which I do think is important when you are ready for it. Part of this process includes picking a business name, colors, website theme. There is a lot of time and work that can go into that. And what if you decide to change the direction of your business after the first couple of clients . . .
Then you are already looking at rebranding before you even started! My starting a virtual business course goes through in more detail how to choose your business name, build your website, branding, taxes, etc. Finding clients is definitely a challenge and something people always ask me about starting an online business. I don’t think there is a perfect formula to follow but instead a few things you should focus on. Do REALLY good work. Over deliver to your clients, always be on time, and be responsive when they have a question or reach out. Have your ears and eyes open to opportunities where people are asking for help on social media, in Facebook groups, mastermind groups, your kids sporting events, really anywhere and everywhere you are. Keep your ears open. Put yourself out there. If you aren’t willing to share with people what you do how will they know what you do? This can be a hard one but it is also a great way to get clients and/or have people refer you to people. Back to number #1 – by far my largest number of clients come from referrals from current clients. This is literally what started my business. My first client referred me to someone else and then they referred me and the list goes on and on. In order to encourage referrals, I do offer a one-time discount off of their most current invoice. So it is a win win for both of us. The reality is, if you do good work, keep your eyes and ears open, and talk about your business, you will get clients. It takes time and effort so don’t be discouraged if you don’t have 10 clients banging on your door right out of the gate. Instead just keep doing good work and spreading the word and the clients will come. The reality of a virtual business is you probably don’t have a lot of space for things like office supplies. The good thing is nowadays pretty much everything you need can fit into one bag. You have your computer, phone, a notebook and pen and you are pretty much good to go! The tools more come into play with different programs that you use on your computer and phone. I really like Google apps and have been using Google Drive more and more. I also like Dropbox and have dappled in Asana – but to be honest I just like a good old paper calendar planner that I use to lay out my tasks each week. There are so many great business tools out there. But like I mentioned above with the website – there is no need to go crazy with buying a bunch of different tools and apps. Instead a lot of them offer a free package, which is probably all you would need. Especially in the beginning. If your goal is to travel full time then you need to leave a lot of time in your day to plan trips and to go exploring when you are places. Keep this in mind. Sure you could spend 80 – 100 hours a week or you could build out a really complex business. But is that why you are doing this? For us, the goal was to work less so we could explore more. This is a tough balance when having a virtual business means your business is always with you. That being said my advice is be aware of it and keep a good handle on how much you are working. You can run a business on 20 hours a week and if you are smart with your spending it will be enough. If you want to do more go for it. But I guarantee sitting at your computer working while the ocean or mountains are calling really isn’t fun! Networking is such an important step in building a successful virtual business and it’s why I believe our business has continued to grow. The more you can network and meet other like minded people and refer each other the better off everyone is. With the online world, networking is so easy. No more having to drive to a meeting to sit there for an hour – though that is still a great thing to do if there are meetings in your area. Instead you can meet people and build a relationship through tools like Facebook messenger. The whole thing is you have to put yourself out there. You have to reach out and introduce yourself and build those relationships or attend those conferences. Both in person and virtually. Putting yourself out there will help your business grow and also help you keep a pulse on what is going on in your industry. I won’t say building a virtual business is easy but I also won’t say it isn’t rocket science. The biggest thing that normally stops people from succeeding with their business is themselves. Either you can’t figure out the next step so you stop or you run into something you don’t know so you give up. If you can figure out how to push through your comfort zone, and continue to move ahead, you will build a virtual business. Also know that stomachache you are getting from reading this is a combination of fear and excitement, which is normal too. I had that feeling in my stomach for the first 6 months of growing my business and still get it when I am going to make a major change in the direction I am going. It is normal. Take the fear and excitement and turn it into energy to make your dreams of starting a virtual business so you can travel full time a reality! Check out my course: How To Start A Virtual Business So You Can Travel Full Time for all the details! You will also get access to my Facebook group where you can ask any additional questions that you have. Hope to see you there! Bryanna has generously offered a $25 discount to the Y Travel readers for her course. Use the code ytravel25 at checkout. I have personally gone through Bryanna’s course – not doing all the action steps as there are so many and I already have a successful virtual business – but so I could check out whether it was valuable for you. 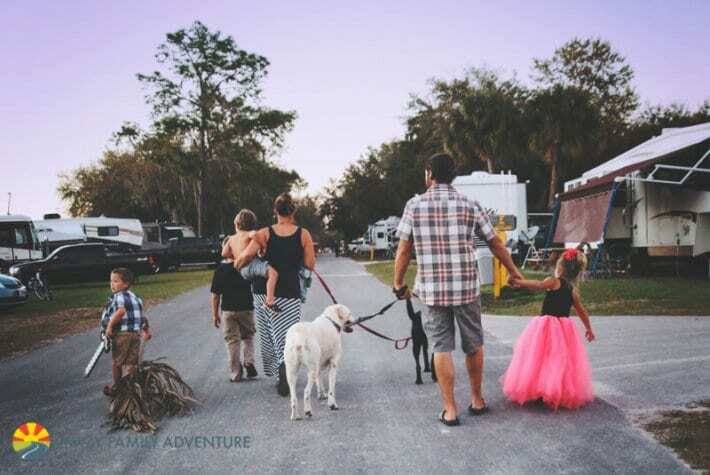 Bryanna, her husband Craig, their 4 kids and 2 dogs sold their house, everything in it, and bought an RV and are now traveling around the US. They blog about their adventures at www.crazyfamilyadventure.com. 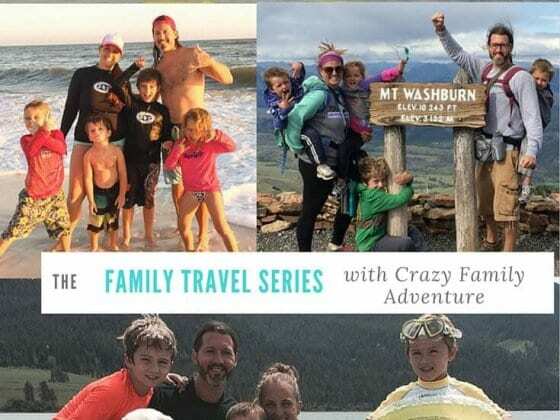 Their goal is to inspire families to get out and travel more! When they aren’t out hiking to the top of mountains you can find them on the beach or at the local donut shop searching for the best donut in the US! They post daily at: Facebook, Instagram, Twitter, Pinterest, and on Periscope (@cfadventure).